The most popular way to download YouTube videos. Classic user interface, simple to understand and easy to use. Download videos from YouTube and other video sites. Increase download speeds by up to 500%, or even more. Download HD 720p, 1080p, 2K, 4K, 8K videos from YouTube. Download videos from hundreds of video sites in batch mode. Convert and optimize videos for your portable devices. 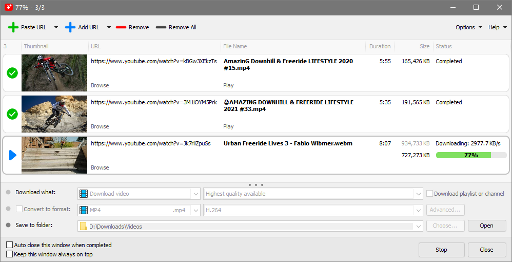 Play MP4, FLV, WebM, MP3, and other format video/audio files.